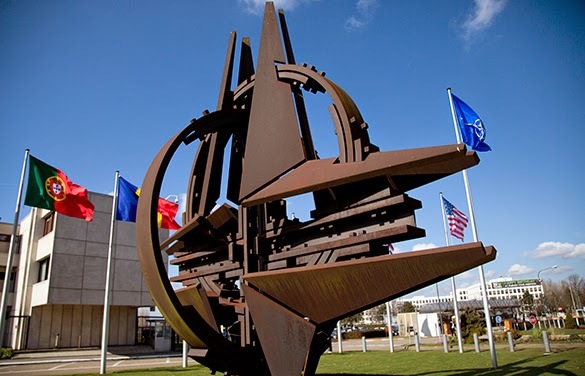 A new NATO command center will be created near Varna in Bulgaria: 40 commanders, trainers and liaison officers. The decision was made during the visit of US Secretary of State Kerry and NATO Secretary General Stoltenberg to Bulgaria. "I am in Bulgaria to show that NATO is as committed to Bulgaria as Bulgaria is to NATO," the alliance's Secretary-General Jens Stoltenberg said. Pravda.Ru asked Director of the Center for Public Policy Research, Vladimir Yevseyev, to comment on such a development. "Russia has been increasing its military potential in the Crimea, and it comes as a response to NATO's growing activity in the Black Sea region, when the alliance often violates the Montreux Convention. In Romania, they plan to build a base of interceptor missiles. Therefore, Russia has to strengthen its presence in the Crimea. What Russia does is enough to ensure the security of Russia. Yet, the involvement of Bulgaria harms primarily Bulgaria itself. The short-sighted policy of the Bulgarian leadership has already made Russia shut down the South Stream project, which struck a serious blow on the Bulgarian economy," said Vladimir Yevseyev. The expert noted that the deployment of any type of NATO infrastructure in Bulgaria forces Russia to use those locations as targets for a possible strike in the event of a hypothetical conflict. Thus, Bulgaria jeopardizes its own population. "I believe that the Bulgarian leaders need to reconsider their policy, as it is clear that Bulgaria's security will be weakened. I would not listen to encouraging statements from the USA. Bulgaria can look at what happened in Georgia, when in August of 2008, no one helped the country, despite numerous promises." "There were plans to build such a center in Turkey, but the country declined the offer not to ruin the ties with Russia. Why has Bulgaria agreed to be at the forefront of the fight against the Russian Federation?" "It was the USA that has grown the ruling elite of Bulgaria. The Bulgarian elite conduct the American foreign policy. It is understandable why Bulgaria has agreed to everything that it was offered. Yet, I do not understand what Bulgaria can get in return. Turkey is being much smarter at this point, I believe. Bulgaria wants to follow the example of Poland. However, this path is wrong, because at least three aircraft with caskets, in which the bodies of Polish citizens rest, have arrived from Ukraine, where Polish soldiers fought on the side of Kiev. I think the Bulgarian leadership should take this into account," said Vladimir Yevseyev. Meanwhile, Britain summoned the Russian ambassador to explain what two Russian bombers were doing on January 28 near British airspace. "The Russian aircraft were flying with disabled transponders, so they could be seen only in military radar. We asked the expert to comment on this as well. "If the Russian aircraft had entered the airspace of the United Kingdom, I would have understood the claims. If the airplanes were flying close, then I do not see any serious reason to call the Russian ambassador. Apparently, the psychosis that has been gathering pace not only in the UK, but also in Nordic countries, shows that they are creating an artificial threat. They inflate the bubble that they are then afraid of themselves. From what I've heard, Russian planes have not transgressed the airspace of the United Kingdom," said Vladimir Yevseyev. Russian Ambassador Alexander Yakovenko said that the flights of the planes of the Russian Air Force over the English Channel met international standards and could not be viewed as threatening or destabilizing. We asked the expert, whether the intensified patrolling activities could be a response to the deployment of military bases in Eastern Europe. "I believe that Russia has the right to fly in the areas that are regarded as international. There is no doubt that the activation of NATO near the Russian border will cause a response. I believe that Russia's best response to the US and its allies would be to open a Russian naval base in Cuba. This would cool the ardor of US hawks, who want hegemony like nothing else on Earth. There is no such hegemony in the world, therefore, all attempts to blow the so-called Russian threat out of proportion will lead to nothing. The US will certainly be defeated - I mean Russia is not going to wage a war against the United States. The Americans will have to step back. EU's intention not to introduce additional sanctions against Russia is a proof of that," concluded Vladimir Yevseyev.